This piece was originally written for NUI Galway’s Student Independent News/sin.ie. Image is by Daniel Ibáñez/CNA. When it was announced that Ireland was to receive the Pope in late August, once again we were reminded of the reality of the ongoing process of Ireland’s separating of Church and State. For decades, Irish citizens have felt the affects of a constitution being filled with heavy church teachings, values and beliefs given a platform so high that it infringes on the choices of people, regardless of their religious or non-religious background. We live in a changing Ireland, and how this visit is handled by those in power, will do a great deal in defining this position going forward. To correctly handle the Pope’s visit, we must first and foremost recognise how Ireland has changed since the visit of Pope John Paul II in 1979. Almost forty years later, we live in more secular times where Ireland should no longer be defined as “a Catholic country” as it has been on numerous occasions in the past. Today, we are open to others, the various minorities regardless of creed or race in the true honour to the land of a hundred thousand welcomes. I don’t take a position to say that the Pope should not be welcomed or allowed to visit, as that would just be another form of exclusion or intolerance and so, this is not progress. The Pope is a world figure, it would not be in Ireland’s best interest to deny him. We even saw last month, our Taoiseach rubbing shoulders with US leader Donald Trump for St Patrick’s Day which was met with a mixed reaction. Just because Trump does not represent the position of the majority of Irish people, this does not mean that such visits of a political nature should be boycotted or denied. The same is true of the Pope. Sometimes respect has to be given to those we may not agree with in order to receive respect back, just as long as we don’t act like something we are not. Maybe it is just a case of keeping up appearances but in my view if the Pope’s visit is to be correctly handled, honesty is key. We need not play false roles in pretending that every person in Ireland love’s Catholicism and prays under a candle to the Pope each evening, because this simply isn’t true and does not represent Ireland in 2018. Although this will not be a formal state visit, but as part of a larger World Meeting of Families, there are talks of civil protesting of the summer events, particularly from those who are survivors of institutional church abuse. I think anyone in this position should be entitled to do that. But of course we are a mixed country, from those who will celebrate the Pope’s visit here and those who may not even be aware of it. What we are all aware of, are the wrongs we have seen from the church in this country’s past and we derive our own position on people and their background that has they where they are from this. But there can be nothing worse than keeping a fire burning instead of trying to find a new more tolerant way forward. Of course not forgetting past atrocities, but progressing in a way that this hurt does not define you as a whole person. We have marriage equality in this country, we may have the 8th amendment repealed in the upcoming months. The political space is becoming a secular one, and so the Pope should be treated as a guest to this country like any other, with no entitlements or elitism. We saw recently that our previous President Mary McAleese was denied entry to a Vatican meeting for her political views. There is no defending this move from Pope Francis and I don’t think any Irish leader should forget this most recent action when the Pope comes to visit us. It’s true that we have moved on from the days of the Eucharist Congress and 1979 but of course only time will tell how this is going to go down in August. I just hope, that we won’t digress and revert back to an unhappy time of unquestioned Catholicism in forgetting all the progress we have made, both politically and socially. Back in March of this year, I competed in the National Slam Poetry final which was held in NCAD, Dublin. It was sponsored and judged by members of Poetry Ireland and altogether, it was an incredible experience to see poetry so alive within the youth of today. Afterwards, I kind of didn’t know what to do with the poem. It’s a performance poem so I thought maybe a video, a recording or a live set would suit it best. But then I remembered I’m a writer not a stand up, more-so anyway. 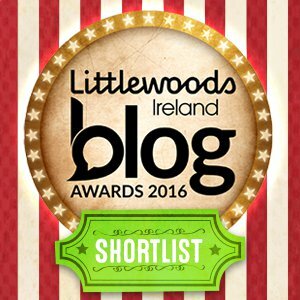 I was informed yesterday via email that I had made the Longlist for the Irish Blog Awards 2016 (yipee!) so I thought no better way to celebrate than releasing this poem to my very own place, this blog. I hope you enjoy it, thanks to everyone who has taken an interest in “Cathy In Conversation”. But I’m sure I could. A little bit of resilience and resistance. Sure didn’t my mother have me swimming since I would walk? Little bit of focus, my hands and my mind. But really, what’s to stop me? I always did want to reach higher. To flee from this green isle. Not like the Catholic school grounds I knew. What’s to stop me never coming back? I put my views down on ballot paper. And saw a slap returned to me. But as I said, I don’t write political poetry. Because the state has rules over my body. This fact remains the same. because only one of my parents is in oppression. Don’t Nama own you all? When the decision makers can’t do just that. Have you seen the tax rates? Weren’t we told that in school? Are you saying I wasn’t born holy? Ah let’s then talk about the unborn. The state have a say don’t they? Pity the same isn’t done by the rulers of the country. Climate changes isn’t waiting for us to finish up our economic plan. Neither are the women traveling to England each day. There’ll be another election yet. On the 29th October 2013, some enthusiastic sixth year English students, with a keen interest in poetry and culture, made the trip to The National Library of Dublin. Here at the library located on Kildare Street next to Dáil Eireann, the students visited the fantastic exhibition of the life and works of the poet and playwright William Butler Yeats. The award winning exhibition was first opened to the public in 2006, with the intent of being open for a single year only. Nine years on, the excellent exhibition is still as popular as ever with visitors of Irish nationality and for foreign tourists. We were welcomed into the exhibition by our friendly and helpful tour guide, organised to assist us throughout. On first step into the exhibition room, we saw the poetic works of Yeats brought to life visually, as the poems were read aloud to changing images which one could sit and enjoy. The exhibition was organised in a way that captured the changing times within Yeats’ life. First we saw protected heirlooms from Yeats’ childhood, including a school report and pictures of his childhood home and surrounding area, which he later captures and refers to in his escapist era of poetry. This was followed by a glimpse into his teenage years, where we see him explore some more complex issues in attempt to gain understanding about the world around him and indeed himself. The next section of the exhibition focused on the women within Yeats’ life and the role they played in his works as a playwright and poet. This particular room had framed photographs of different mistresses and love interests of Yeats, from Countess Markievicz and Maud Gonne to his own wife, Georgiana Hyde-Lees. This was interesting to see the total amount of women and how crucial their involvement with Yeats was in such ways to which they influenced his writings. Following this we saw Yeats’ special connection to the older Lady Gregory, who Yeats was very close to in having similar interests with artistic and cultural projects, the major one being the setting up of The Abbey Theatre. In glass cases were original letters Yeats and Gregory wrote to each other and it was clear to see the exceptional bond they held. Yeats in middle age explored different cults and religions. The exhibition portrayed this graphically with detailed robes and symbols from different cults and religions Yeats became fixated on. It was interesting to see how this influenced his works, bringing forth new ideas of self expression in a slightly romanticised fashion. From the exhibition it was clear to see how Yeats was heavily involved and interested in politics. From his poems ‘Easter 1916’ and ‘September 1913’ Yeats comes forth holding his own stance as a well established poet in society at the time, as he notes his reactions and views to these national social and political events which he lived through. In later life he furthered his political input becoming a member of the Seanad. His objective as a Seanad member was to be a representative for the area of arts and literature, although he often ignored this and got involved in heated controversial debates on topics such as divorce. Within his final years of life he was still a persistent poet and won the Nobel Prize for Literature. At the exhibition, the top hat which he wore when receiving the award was on display and also a replica of the award itself. In the final back room within the exhibition there was a place to sit to watch a film playing of literary and public figures speaking about Yeats, the late poet Seamus Heaney featured speaking here which was great to see their own appreciation of Yeats. The exhibition had an excellent mixture of factual information, social history, politics, romance and religion which gave a detailed look into these aspects of Yeats’ life and works. All artefacts present were donated by Yeats’ family, and it was really a capsule of dedication to the great poet and playwright he was and so much more. The mixture of multimedia modern technologies alongside original manuscripts was great to see, as the original works of Yeats were brought into focus to modern access. To take the virtual tour online visit www.nli.ie/yeats . The Yeats exhibition is just one of many free attractions to visit in Dublin. For those who wish to discover more about the attractions within our cultural capital city, log on to http://www.dublin.ie or www.visitdublin.com .